Iain Stewart Macmillan was born in 1938 in Dundee, Scotland. He attended the Dundee High School, graduated in 1954 before taking his first job as a trainee manager at a jute mill. 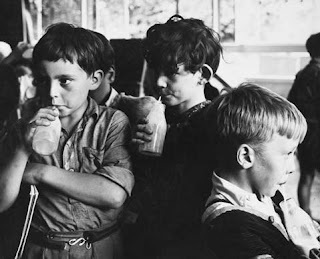 In 1958 Ian moved to London to study photography at the Regent Street Polytechnic (now the University of Westminster). His first work was as a cruise photographer but he also went home to photograph street scenes, and tenement of old Dundee. His moving portrayal of the disappearing sights of a city in regeneration are memorable and in the same spirit as Oscar Marzarolli’s Shades of Grey Glasgow 1956 -1987. 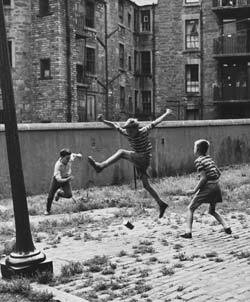 Macmillan captured boys playing football in the back streets to a “scramble” (or scrammie) at a local church wedding where children scrabble for thrown coins. 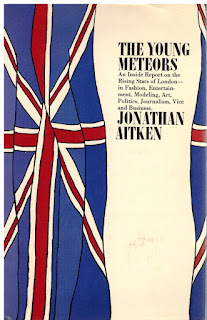 He graduated in the early 1960s and his talent was soon recognised by magazines and publishers including the Sunday Times, the Illustrated London News, Tatler and Harpers & Queen. This brought the quiet Scotsman into the world of London’s Swinging 60s. 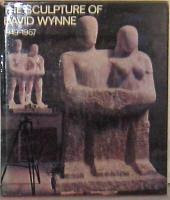 He took photographs for a book, The sculpture of David Wynne 1949-1967, and for Wynne's exhibition catalogue. In 1966, The Book of London was published and Macmillan had been commissioned to take a series of photographs of life in the city. The photographer was introduced to Yoko Ono and photographed the avant-garde artist presenting a demonstration of "Handkerchief Piece". The photo shows Yoko and three others wearing handkerchiefs tied over their mouths. Yoko was sufficiently impressed by his work, she invited him to photograph her new exhibition at the Indica gallery, in St James’s. It was there that Yoko met John Lennon. As his reputation grew the photographer was commissioned by many of the leading newspapers and magazines such as Tatler, the Sunday Times, Harpers & Queen to take portraits of celebrities from the worlds of sport, art, politics, acting and pop music. 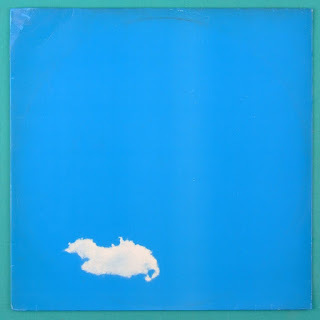 Examples include Pete Townshend of The Who, Brian Jones of The Rolling Stones, Stevie Wonder, Twiggy, Floyd Paterson, Bridget Riley, Maggie Smith and Donald Sutherland to name but a few. 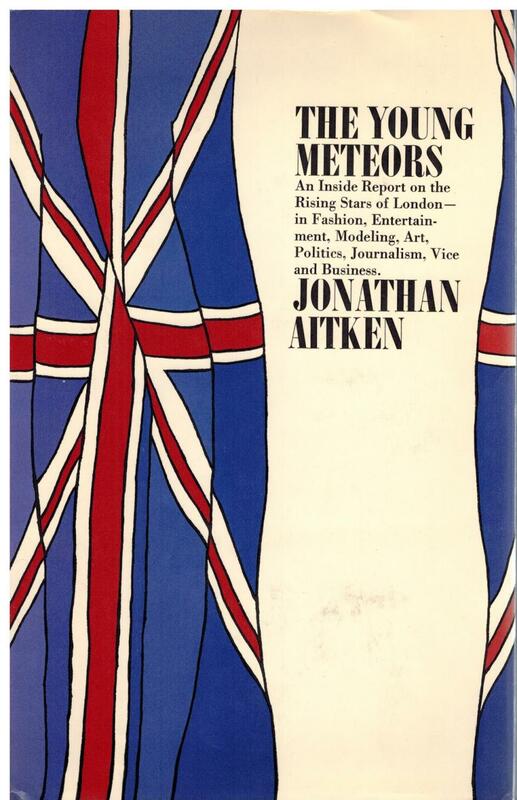 Some of these photographs were used to illustrate the 1967 book ‘The Young Meteors: An Inside Report on the Rising Stars of London in Fashion, Entertainment, Modeling, Art, Politics, Journalism’ by Jonathan Aitken. In 1970, he took the cover photograph of Kenny Rogers and The First Edition’s album Something’s burning. 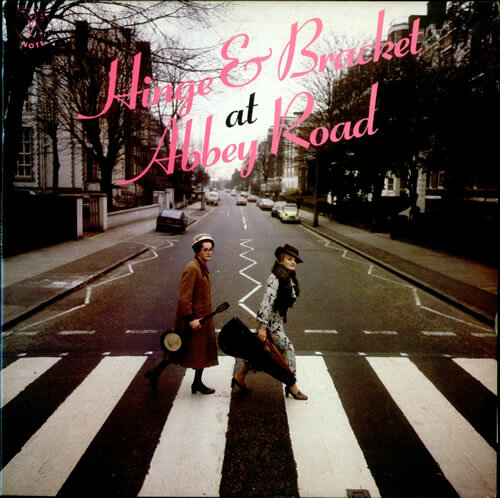 In 1969 John Lennon invited Macmillan to be the photographer for the cover of the new album, Abbey Road. 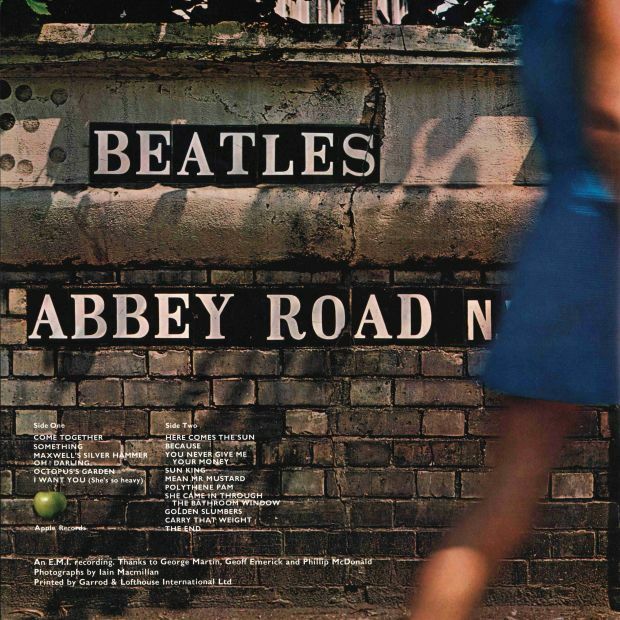 The Beatles decided to name their last album after the road where Abbey Road recording studio stood. 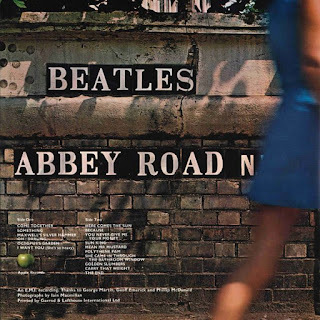 On 8th August 1969, around 11:30am, Iain Macmillan climbed a stepladder about 10 feet in the air in the middle of Abbey Road and took six pictures of the Beatles walking on a zebra crossing near the EMI Studios. Police were hired to control the traffic and any stray fans. In total the photoshoot took ten minutes and produced arguably the most iconic photograph of the Fab Four. In the first photograph John leads the group from left to right followed by Ringo, Paul and George. They kept this order throughout all the photos. There is a Mercedes pulling out of the studio behind them. 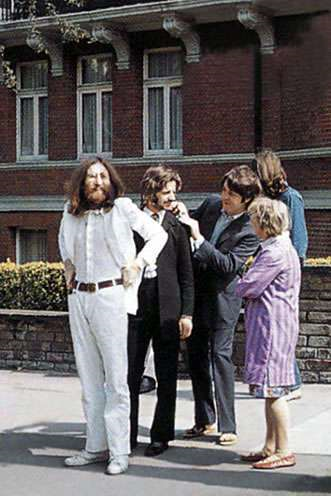 John is looking away from the camera and Paul and George are in mid step. Paul is wearing sandals. Inthw second photograph they walk back in the same order. Good spacing but only John has a full step. The third shot captures them left to right again, full steps but they are all too far left. The traffic is beginning to build up with a taxi, two vans and a double decker bus waiting to come forward. Paul is now barefoot. In the fourth shot they are walking right to left again with Paul Ringo and George all in mid step. The traffic has gone through but the bus has stopped to watch. 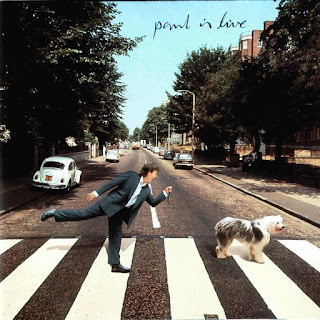 The fifth shot became the cover of the album and is the only photo where Paul smoking and with their legs in perfect formation. In the sixth photograph Ringo is slightly too far behind John and the bus has turned around to leave. After the Beatles broke up Iain continued to work for John and Yoko on several projects. 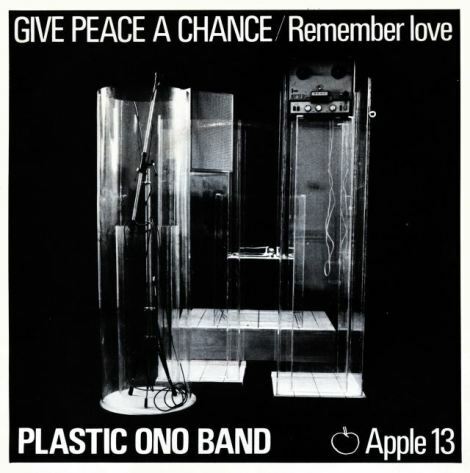 Macmillan took the picture of the wedding cake which featured on John and Yoko's Wedding Album (1969). He also designed the cover for Give Peace a Chance. He later photographed the clouds on Live Peace In Toronto (1969), by John and Yoko. 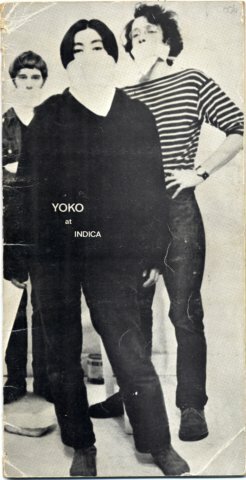 Yoko asked Iain to morph the faces of John and herself for the back cover of a cover of the exhibition catalogue for her career retrospective, This Is Not Here, in 1971. 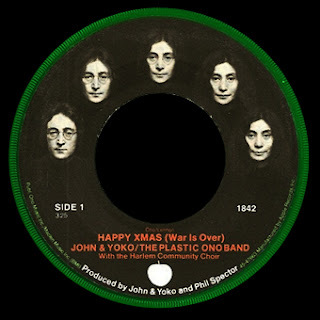 Apple Records used the same images on the 7"transparent green vinyl pressing of "Happy Xmas (War Is Over)" and "Listen, the Snow Is Falling" released in December 1971. The same sequence of five images showing Lennon's face transforming into Ono's was used on the pressing of the album Sometime in New York City (1972). Macmillan was also involved in taking pictures for the cover, after living with them for a month the previous September. Iain also collaborated on the film Erection, an animation of shots of a London hotel under construction with a soundtrack by John and Yoko. In New York, he photographed much of Yoko’s avant-garde work, including the promotional film for her second album, Flies (1971). It proved a technical nightmare. 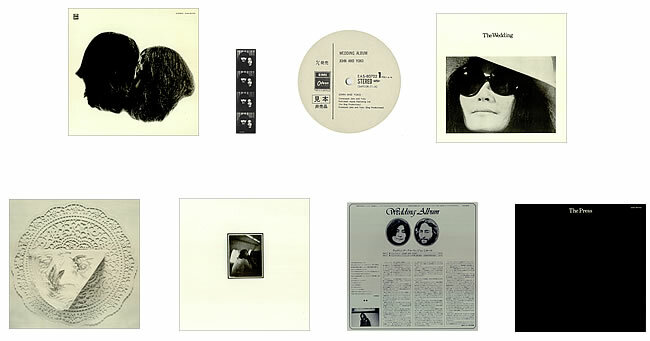 He also took the cover photo on Yoko's later editions of Grapefruit. 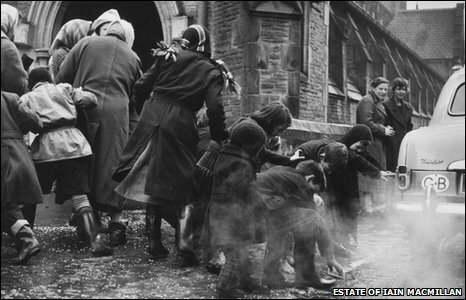 By the mid - 70s, Macmillan had returned to England and was teaching part-time photography at a college in Stoke-on-Trent. Then in 1980, Iain took the cover photo for the album Hinge and Bracket at Abbey Road which was a parody of the Beatles photo. An exhibition of his works toured the US, Britain and Europe and the BBC used some of his photos in the series The Rock 'n' Roll Years. He moved back to Carnoustie, after his parents died in the 80s and with his beloved collie dog, Mac by his side took photographs of Scottish landscapes, his friends and families. In 1993, Paul McCartney invited Macmillan to take another picture on the famous zebra crossing near the EMI studios in St John’s Wood for the album cover of Paul is Live. This time McCartney had for company an Old English sheepdog. Macmillan contrasted the simplicity of the earlier picture by including a team of policemen, press photographers and a lively crowd. Iain sadly died in 2006 from lung cancer. Macmillan was always modest about his own achievements and retained a lasting affection for Paul and Linda McCartney.